Season 21 Individual Show information and discussion questions coming soon! 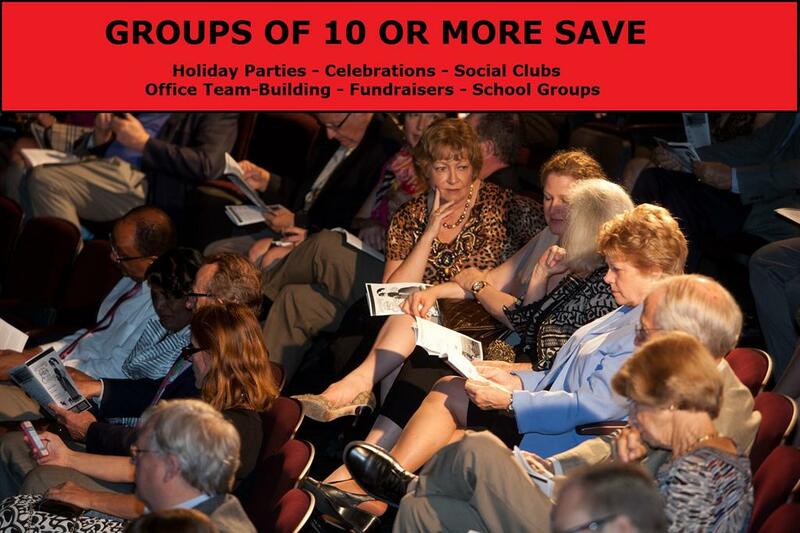 SAVINGS: Groups of just ten or more receive discounted tickets (Starting at 20% off) and flexible payment plans. Mad Cow Theatre is a great destination for group outings, book clubs, birthdays, corporate gatherings, holiday parties, social networking groups, or even just a group of friends getting together for a great night of theatre! STUDENT GROUPS: We offer special rates for student/education groups of ten or more (50% Off) and flexible payment plans. SUPER HERD: Super Groups can be created for companies and organizations of any kind. Mad Cow Theatre will create a promotion code to share with your colleagues, and you can purchase your tickets online or over the phone using that code! Email groups@madcowtheatre.com to request your code today! WHOLE PASTURE: Do you want to host a private event with a special performance just for you and your guests? Well you can! At Mad Cow Theatre our dedicated team is here to help you plan the perfect event for your group. HAPPY HERD: Add a private Happy Hour before or after the show for your group! TALK BACKS: This popular event is complimentary for all group-sales purchased on Thursdays and Sundays! Mad Cow hosts lively discussions after the show with the performers and production team every regular Thursday & Sunday performances. Group discounts are not available for already discounted performance nights such as Previews, Pay-What-You-Wish, or the Monday Night series. Group tickets are valid only for the designated performance. They are not exchangeable or refundable. Mad Cow does not permit children under the age of 8 into the theater, unless otherwise noted.